We want to start the year off by focusing on getting your Web Apps noticed in the Amazon Appstore, so you have the best chance of acquiring new customers. There are a few easy steps you can take to so that your apps, whether web or non-web apps, are more appealing to first time downloaders. This includes ensuring you have quality screenshots and promotional images, detailed product descriptions, an easy way for customers to review or share your app, as well as a way for customers to discover your apps outside of the Amazon Appstore. Amazon also offers unique ways to help your Web Apps get noticed including weekly promotions for the top Web Apps in the Appstore as well as access to Appstore Developer Select. Enhanced Merchandising to Improve Discovery: Your qualifying apps will receive 500,000 free mobile ad impressions across the Amazon Mobile Ad Network. We’ll provide enhanced merchandising for your apps in a dedicated section on the Amazon Appstore home page and consider your apps for advertising on Kindle Fire. 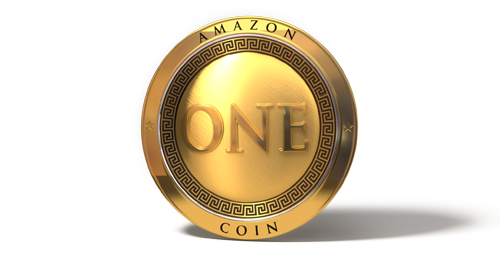 Amazon Coins Rewards to Customers to Improve Conversion: Consumers purchasing your app or in-app items in your app will receive up to 30% of the purchase price back in Amazon Coins. We’ll boost customer acquisition by rewarding first-time purchasers of Select paid apps and in-app items with an extra 250 bonus Coins. 25% off AWS Services to Help You Scale: You will earn 25% credit back on qualifying purchases of Amazon Web Services (AWS) products, up to a maximum $500 credit per year. 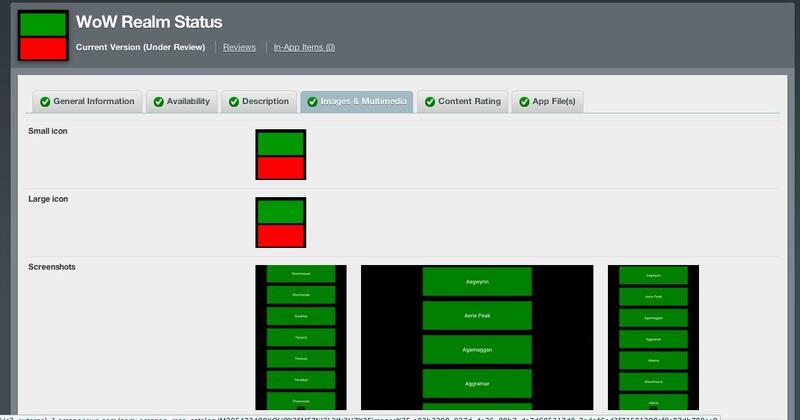 You can check the status of your eligibility by going to the My Apps section of the Apps and Services Tab in the Developer Console. You can click on View Report to see which items your App has passed on and which items you need to update in order to become eligible. 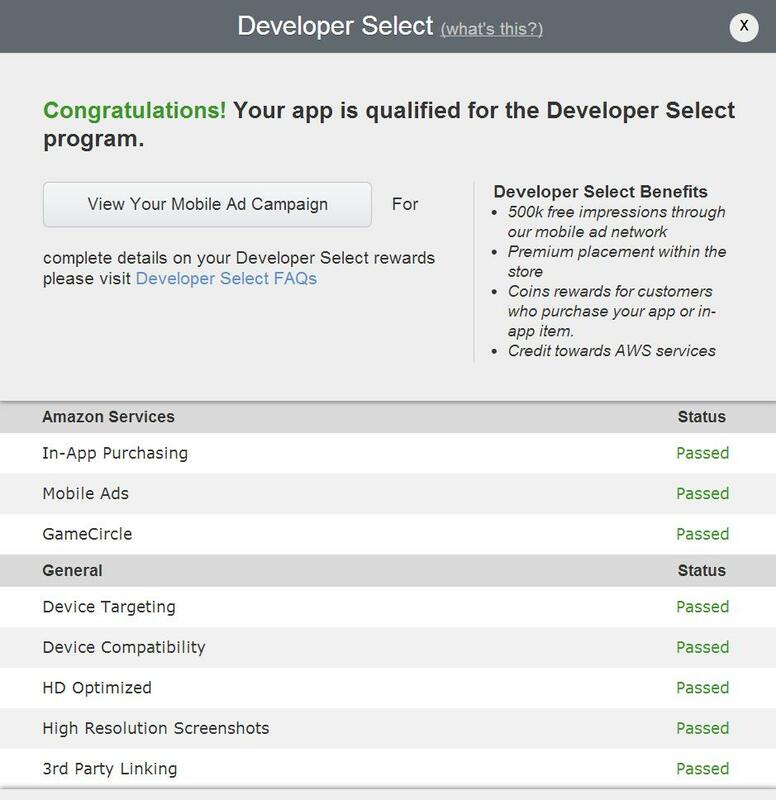 Once your app has been enrolled in Appstore Developer Select you will also have the option to view the Ad Campaign that has been set up on your behalf. The title and description of your app is like the front door of a building. Customers will never know what’s inside until they knock and walk inside. By writing an effective description you can change your app from the spooky abandoned house on the corner to an enticing new shopping mall just waiting to be explored. The keywords section will be how customers find your app when searching the Amazon Appstore so make sure you chose relevant discoverability terms. 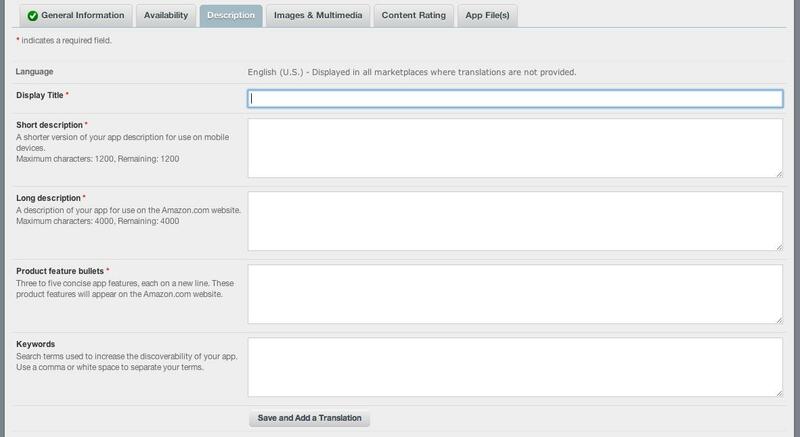 In addition to the App details you can also select a Content Rating for your app letting customers know what to expect. Be sure to read our previous blog post with tips on effective title and description for your apps here. Your Web App submission will need to provide screenshots of your app running as well as an optional video. You should create and upload both a 114x114 icon and a 512x512 icon, which will be used for the app list and carousel respectively. In order to take the screenshots of your app running you will need to use the Web App Tester program on a Kindle device (emulators are not currently supported) and use the Kindle built in screenshot button combination. 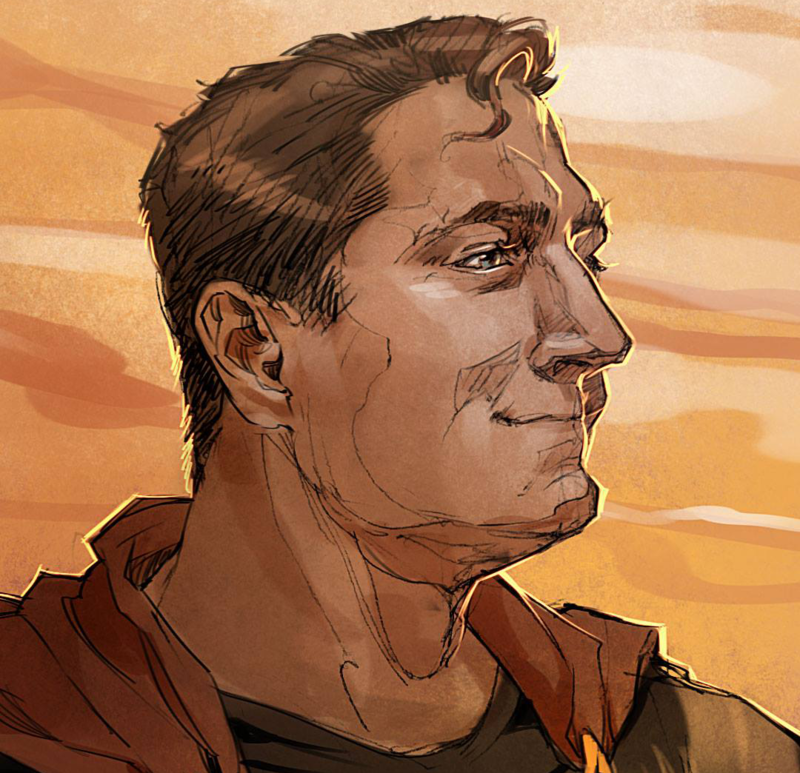 The button sequence for each Kindle device can be found here. 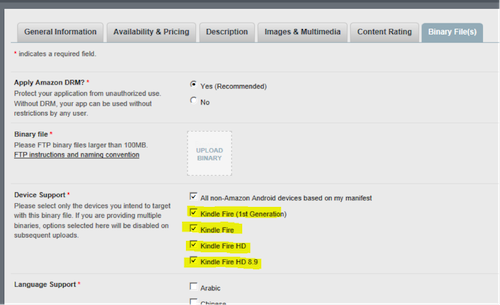 You will need to next copy the screenshots off of the Kindle device and uploaded to the developer portal. 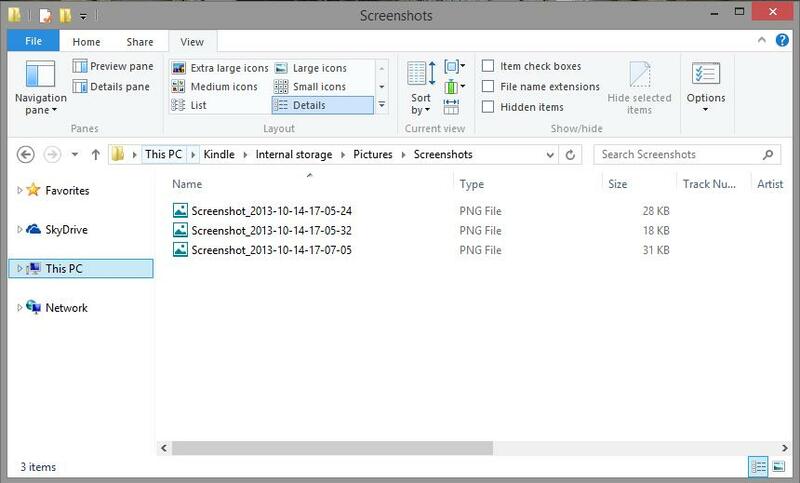 On windows simply plug in your Kindle device and open File Explorer to Internal Storage > Pictures > Screenshots. For Mac OSX you will need to use the Android File Transfer Tool and navigate to Pictures > Screenshots. While you are only required to submit three screenshots, having additional screenshots as well as a promotional image is recommended and will help to increase the chance for downloads. You can also include an optional Video showcasing your Web App. You can get additional information on taking screenshots of your Web Apps via the official developer documentation here. Amazon also offers App Badges you can include on your Website and customer communications such as email blasts. These Badges are available in a variety of languages and will further increase potential download traffic to your app by referring customers who are already interested in your products or have come across your website. For full details on using App Badges be sure to check out the documentation here. Building an audience for your apps and connecting with new customers is an important concern for most developers. By following the steps listed here you can ensure a higher chance of getting noticed. The more customers who see your app the greater the chance of increased downloads, more reviews and eventual promotion inside the Amazon Appstore. 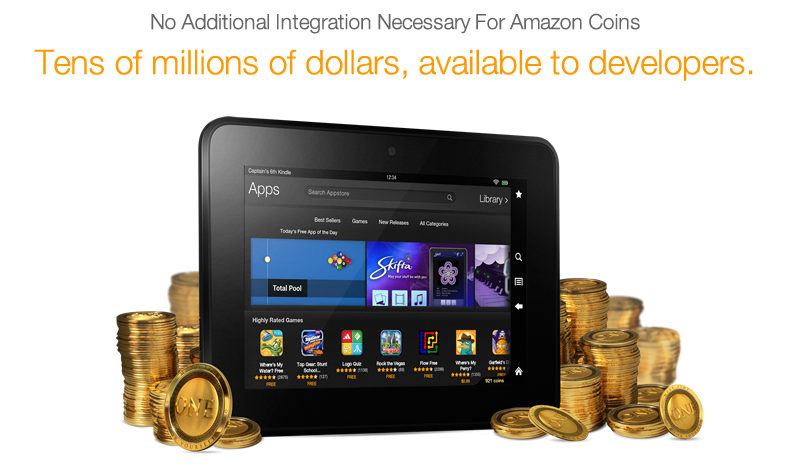 Got a great HTML5 Web App in the Amazon Appstore? Looking to get promoted? Why not tell us about it! You can Contact Us directly and let us know.